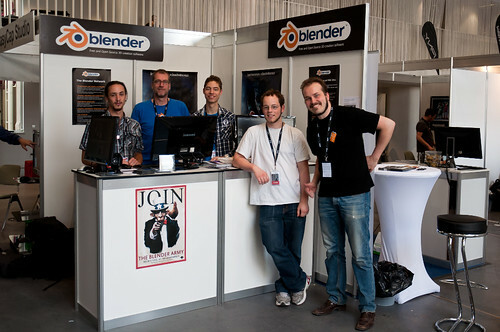 I visited the Blender booth at FMX 2011 today and took some photos for you. It was a fun day for me and a fun week for all people there (from what I’ve heard, at least 🙂 ). Definitely something to repeat. 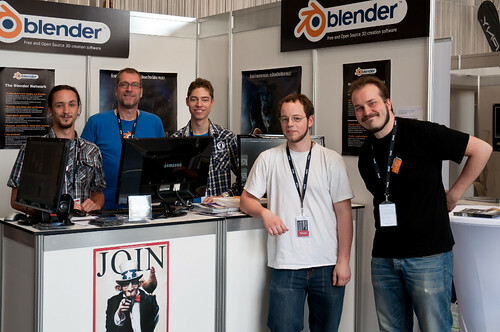 You can also find pictures from the presense of the Blender Community at FMX 2012 in this later blog post. 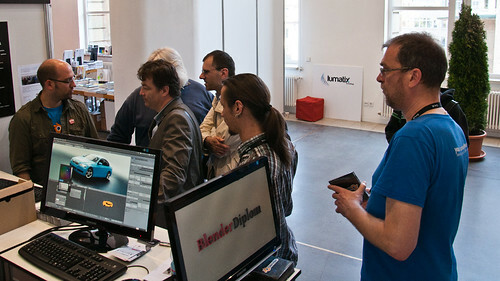 It’s actually a pretty standard-sized booth for the trade floor at fmx. 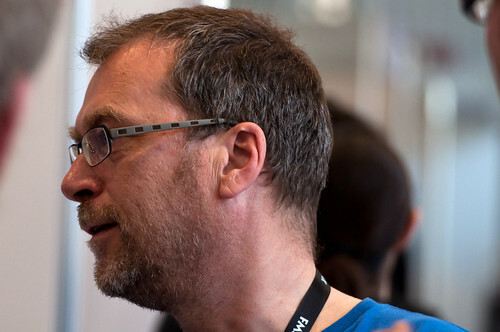 Adobe’s both a few years ago wasn’t that much larger, either. hi guys! 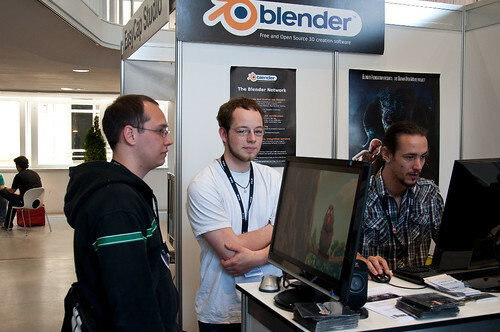 you got any photos for Cairo ICT 2012?